Bhutan, Costa Rica, Cuba, Lao People’s Democratic Republic, Malawi, Nepal, Palestine and Papua New Guinea received technical assistance on these topics during national seminars. Diagnostic missions in Côte d’Ivoire and Guinea were conducted to assess their tariff classification and Customs valuation control systems as they are planning to bring Customs functions that had been outsourced to a private sector inspection company back in-house. Workshops on the development of advance ruling systems for classification were held in the Bahamas, within the framework of the agreement between the WCO and the Bahamas Customs and Excise Department, funded by the Inter-American Development Bank (IADB), and in Burkina Faso, funded by the Swedish International Development Cooperation Agency (SIDA). The WCO continued to carry out its work on the uniform application of the Harmonized System (HS), with the adoption of numerous classification decisions and intensified capacity building efforts devoted to the implementation of HS 2017, including the harmonization and enhancement of the analytical methods used by Customs laboratories as well as the work on the implementation of advance ruling systems mentioned earlier. The number of Contracting Parties to the HS Convention has reached 157, with the accession of Vanuatu (March 2018). The sixth edition of the HS, HS 2017, entered into force on 1 January 2017. At present, 118 Contracting Parties have notified the WCO that they had implemented HS 2017, and nine Contracting Parties have advised that they would be implementing it in the course of 2018. An objection was received to the Council Recommendation of 6 July 2017 regarding the Amendment to Article 8 of the HS Convention to limit the number of reservations in respect of HS decisions to two. However, at the June 2018 WCO Council Sessions, the concerns were resolved and the Recommendation was re-adopted, subject to clear affirmation of certain parameters. At its 60th and 61st Sessions, the WCO HS Committee took 343 classification decisions, including 251 classifications of international nonproprietary name (INN) pharmaceutical products linked to the WTO Agreement on Trade in Pharmaceutical Products. The HS Committee also adopted 12 amendments to the HS Nomenclature, 25 amendments to the HS Explanatory Notes, 48 new Classification Opinions and deleted 1 existing Classification Opinion. With the exception of those for which reservations have been entered, the decisions and amendments are available on the WCO website and via the WCO bookstore. HS-related capacity building assistance to WCO Members is delivered in the form of national and regional seminars and workshops on the implementation and uniform application of the HS, on the modernization of Customs laboratories and their analysis methodology, and on the implementation of advance ruling systems for classification. The WCO Secretariat also provides, on request from Members, advice on the classification of commodities. Technical assistance focusing on the HS and related matters, including Customs laboratory infrastructure and analysis methodology, was provided to officials from Armenia, Azerbaijan, Belarus, Cambodia, Chile, Georgia, Moldova, and Ukraine. Assistance was also provided to Albania on the modernization of its Customs Laboratory, with a particular focus on the classification of products from Chapter 27, including waste mineral oils and practical case studies on mineral oils, and to Mongolia, with a particular focus on textiles, pharmaceutical products and vitamins. A Regional Workshop on Capacity Building of Customs Laboratories that was funded by the Korea Customs Service was held for countries of the WCO Asia/Pacific region to share expertise and good practices on chemical analysis and enhance regional cooperation among laboratories. Experienced Customs chemists and classification officers from Bosnia and Herzegovina, Indonesia, Malaysia, Peru, Philippines and Tanzania participated in the Customs Laboratory Programme, which was funded by Japan Customs. Participants spent one week studying WCO HS tools at the WCO Secretariat before going to Japan for six weeks’ practical training on chemical analysis methods. WCO experts also attended two events aimed at exchanging experiences and challenges around chemical analytical methods used by Customs Laboratories: a Workshop on Customs Detection Technologies organized in Estonia under the European Union (EU) “Customs 2020” programme, and the VII International Scientific and Practical Conference on the Problems of Expert Activities held in Russia. A Regional Accreditation Workshop for expert trainers on the HS in the Asia/Pacific region was conducted in Kashiwa, Japan. It was hosted by the WCO Regional Training Centre (RTC). Representatives from Australia, Bangladesh, Cambodia, China, Japan, Lao People’s Democratic Republic, Mongolia, Myanmar, Sri Lanka and Thailand took part in the Workshop. During the 2017/2018 financial year, 122 classification advice responses were provided to Members by the WCO Secretariat. The WCO continued its efforts in assisting its Members with the uniform application of the WTO Agreement on Customs Valuation (the Agreement), in particular, by providing guidance on the management of Customs valuation. The examination of a question on “related party transactions as they pertain to the Agreement and transfer pricing” led to the adoption of Case Study 14.2, which illustrates a specific scenario, where Customs took into account transfer pricing information in the course of verifying the Customs value. As the WCO Technical Committee on Customs Valuation (TCCV) could not reach consensus, one question was placed in Part III of the Conspectus of Technical Valuation Questions, i.e. questions raised, but not being considered by the TCCV at present. The question relates to the circumstances surrounding a sale under the provisions of Article 1.2 (a) – goods produced in different countries. Regarding the above-mentioned question, the issue to be examined deals with whether, when examining the circumstances surrounding the sale to determine if the relationship has influenced the price, the examination of the transfer pricing report should be carried out based on a single sale transaction conducted between unrelated parties in countries other than those being examined or by looking at the particular situation in the global market. the sale for export to the country of importation under Article 1. Under the Revenue Package Phase III, a new publication entitled “Practical Implementation of the WTO Valuation Agreement: A Brief Guide for Least Developed Countries (LDCs)” provides advice to LDCs, which typically face particular challenges in implementing the WTO Valuation Agreement. Examples are also provided on the control programmes of national administrations, including those which utilize a valuation database, such as the system developed by the United Nations Conference on Trade and Development (UNCTAD) to be used in conjunction with ASYCUDAWorld. 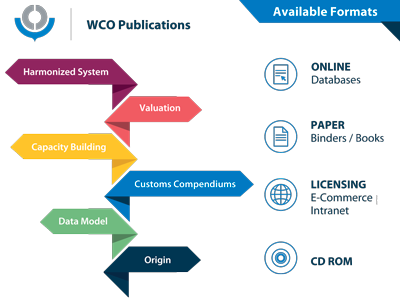 Also under the Revenue Package Phase III, updated versions of the WCO Guide to Customs Valuation and Transfer Pricing and Practical Guidelines for Valuation Control have been produced. National workshops on valuation issues took place in Indonesia, Mongolia and Rwanda. Regional workshops were organized for the Members of the Asia/Pacific and the North of Africa, Near and Middle East (MENA) regions, while sub-regional workshops were held for officials from countries of the East African Community and the Southern African Customs Union. In addition, diagnostic missions on the valuation control system and assessment of related expertise were carried out in Cambodia, Haiti, and Mongolia. As part of a series of joint regional workshops conducted by the WCO and the Organisation for Economic Co-operation and Development (OECD) on Customs valuation and transfer pricing, a workshop was organized for countries from the Americas and Caribbean region. Additionally, a joint WTO-WCO Workshop on Customs Valuation was organized in Guatemala for participants from the public and private sectors. For the 2017/2018 financial year, the WCO Secretariat responded to nine requests for advice received from WCO Members in relation to Customs valuation. To further develop the technical pool of expert trainers on Customs valuation with a view to increasing the capacity of the WCO to deliver technical assistance programmes, the WCO organized accreditation workshops for valuation specialists from the Customs administrations of the East African Community (selected experts from the JICA Master Trainers Programme) and the WCO Europe region. Capacity building activities included the organization of workshops in Albania, the Bahamas and Zambia on rules of origin, and in Ethiopia on the development of an advance rulings unit. Moreover, a diagnostic mission on origin and valuation infrastructure was delivered in Cambodia. WCO experts also participated in a session of the Committee on Trade, Customs and Immigration of the Pan-African Parliament that was held in Johannesburg, South Africa. In response to the growing demand for technical assistance linked to the building up of infrastructure for the application of advance rulings, the WCO stepped up its efforts concerning the accreditation of origin experts by organizing two regional accreditation workshops: one for French speaking trainers in the West and Central Africa (WCA) region, and one for the Asia/Pacific region. At the 2015 WTO Ministerial Conference held in Nairobi, Kenya, WTO Members adopted a Ministerial Decision on Preferential Rules of Origin for LDCs, which establishes rules applicable to imports from LDCs under non-reciprocal preferential trade arrangements. To help LDCs benefit to the maximum extent possible from the Decision, the WCO developed the “Practical Guide to the Nairobi Ministerial Decision on Rules of Origin for LDCs,” which provides information on how to qualify for preferential treatment as well as detailed explanations of the elements in the Decision. 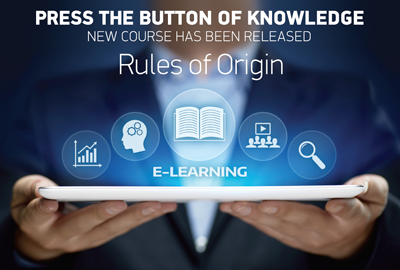 Five e-learning modules – Origin Criteria, Cumulation, Transport Rules, Origin Certification and Origin Verification – have been developed, and the existing e-learning modules – Introduction and Preferential Agreements – have been reviewed.